These Equipro Partition Door Fix-It Kits are great for changing any Concealed Latches on your Partition Doors into Surface Mounted Slide Latches. Concealed Latches can fall down inside the door. 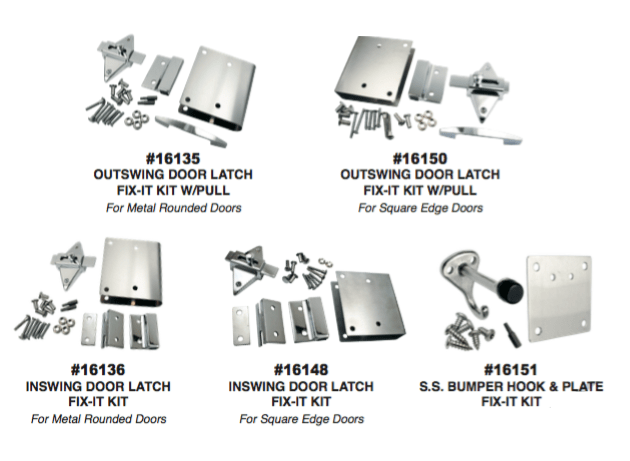 With these kits, you can easily install and replace them with a Surface Mounted Slide Latch. Choose Outswing or Inswing, depending on your facility needs. Kits are available to fit Metal Rounded Doors or Square Edge Doors, and come with the necessary parts to properly install and convert your partition doors into something new. 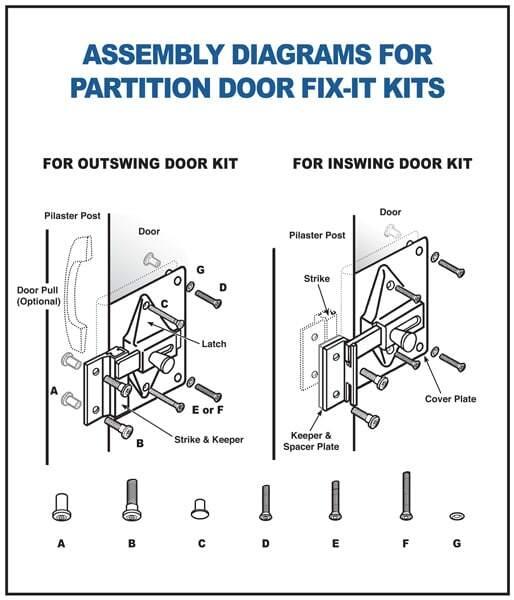 Call to Order a Partition Door Fix-It Kit now at 800-442-6622 Monday-Friday, 7:30AM-5:00PM EST. Be sure to mention any of the above EC Part Numbers when placing your order. Save and or share the Partition Fix-It Kits PDF with your colleagues.